G.R.I. 72 ALFA TANGO Division GUATEMALA Official Site. From the land of the eternal spring. 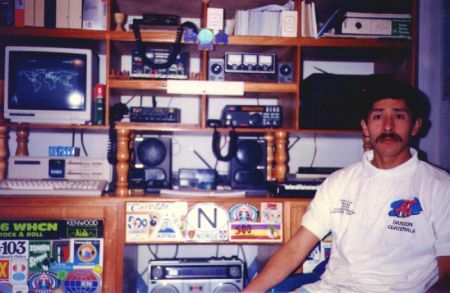 Photo of the 72 AT Director, Edgar Morales 72 AT 114, in his shack. The ALFA TANGO prefix list. Please sign our Guestbook, thanks !